Assured Automation announces its new line of High Performance Butterfly Valves. The HP Series offers Class VI shut-off and an advanced seat design which provides a bi-directional interference and pressure assisted seal. These valves are available in sizes 2″ through 12″ with a pressure rating up to 285 PSI for 150 class and 740 psi for 300 class valves. Body is available in carbon or stainless steel with Wafer or Lugged flanged end connections. The HP Series disc is engineered for a quick release from the seat, which reduces torque and seat wear. Machined position stops on the body locate the disc in the seat to achieve maximum seat and seal life. A full range of accessory items are available including limit switches, solenoid valves, positioners and manual override devices. A butterfly valve well-suited for applications in many markets worldwide, the HP Series meets the following world standards: ISO 9001, MS-SP67 / API 609, Canada registration No CRN 0C0569.9C valves, CE/PED approval by LLOYDS certification No RPS0160308/01. 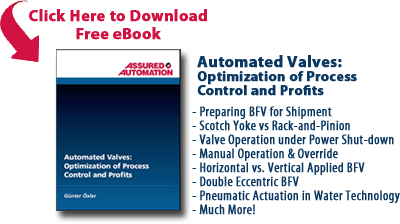 Assured Automation’s HP Butterfly Valves have been used successfully in many industrial applications, including refineries, chemical processing, pulp and paper mills as well as steam and HVAC applications. A major food and beverage manufacturing plant was seeking to improve the service life and sealing capabilities of the butterfly valves on their HVAC system. 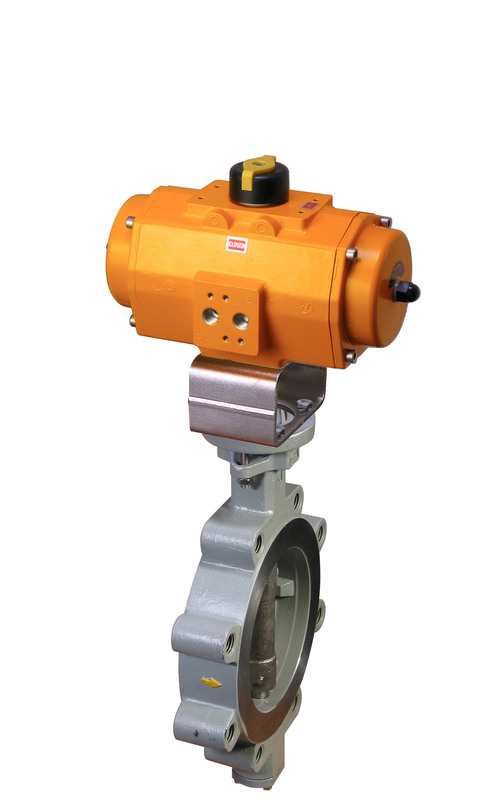 They were using a major manufacturer of resilient seat butterfly valves. These valves were modulating constantly throughout the day to maintain temperatures inside their complex. The constant wear at the 6 o’clock and 12 o’clock positions caused frequent failure of the resilient seat butterfly. 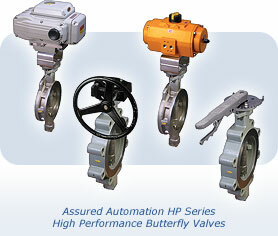 Assured Automation suggested using the HP Series High Performance Butterfly valves. The double offset shaft creates a pivot action to reduce seat wear and improve seat sealing which solved their leakage and life cycle issues. The valves have been in service five years without any issues. This entry was posted in Latest News, New Product Announcements and tagged Actuated Butterfly Valves, Butterfly Valves, High Performance Butterfly Valves, HP Series, Lug Butterfly Valves, Wafer Butterfly Valves. Bookmark the permalink.